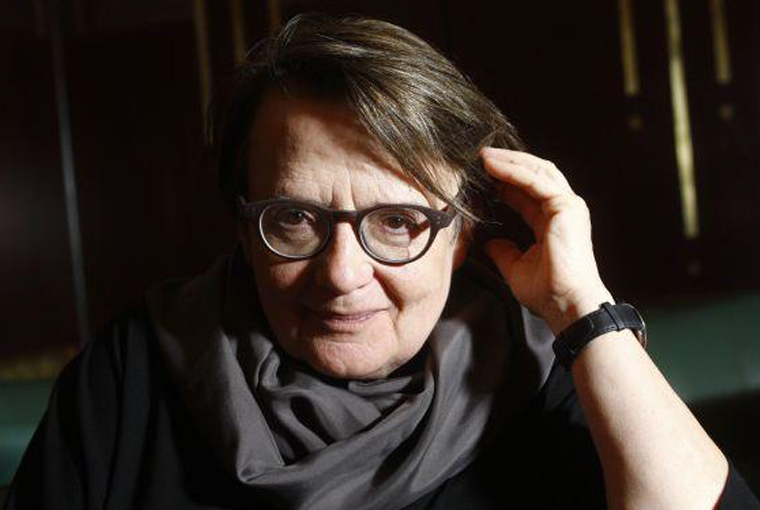 We met Polish director Agnieszka Holland during the L’Europe autour de l’Europe festival in Paris. We talked with her about some of the themes in her older films and discussed deficits in European cinema culture. During the debate after yesterday’s screening, passion was mentioned as a defining theme of your work. Would you agree? I wouldn’t have come up with this myself. I would maybe say that identity is one of the recurring themes in my movies. I am always interested in people who are in extreme situations, either because of historical circumstances or because they must prove something to change the world: artistic geniuses, religious people, terrorists, fighters – they are the people that have always interested me. I mean all kinds of identities: cultural, sexual, national, existential, class, …whatever. Is it possible to find something like inner truth despite of the fact that our identity is made up of influences that we do not have fully under control? Does it even exist or are we totally dependent on external circumstances? What, for instance, made people massively support Hitler or Stalin? Is it a desire inside the human race to be deprived of their identity and belong to some bigger whole? So what interests me is to look at people’s choices and understand how they are accountable for what they do. Studying in Prague, you had to deal with the Czech cinematographic identity. Was it different from what you later experienced in Łódź, Poland? Czech culture is different from Polish culture and those differences reflected in their film culture. It is a more democratic, ironic and realistic – in terms of being closer to ordinary life – culture. Polish films are more hysterical, more romantic. So this was very visible in the different schools as well. In some way, I made the synthesis in Burning Bush, the series about the Soviet occupation [Prague Spring], which is an important story for the Czechs. But my hero, Jan Palach, is more Polish. He is very romantic. Most Czechs identified with Vladimír Charouz who was more conformist. They don’t like this image of themselves, which is why they avoided talking about it for so long. But it is difficult to compare the two schools because the times were different. When I was in Prague it was 1968, there was the Prague Spring. But in Poland the student movement was instantly crushed. But when I came back to Poland, I quickly found sympathetic artists to work with. The pressure political power exercises on artists is the question in one of your earlier films, “Provincial Actors” (1979). What could be such pressures today? We recently adapted Provincial Actors in a theater in Opole and transposed it to contemporary times. And it was funny, because when we read the adaptation with the crew of actors, they recognized themselves in the situations. This proved to us that even if political contexts shift, the existential conditions of the actors in the play didn’t change so much. We found that questions of conformism and non-conformism, as well as the rebellious desire to bring an artistic vision to the audience, are still very relevant topics. In today’s market democracies, conformism is much wider spread. During Communism it was largely reduced to political agents, whereas in a globalized world it is very difficult not to participate in the activities of market forces. Do you think that the enemy is less clearly definable today? Unfortunately, the world is sometimes clearly separated between victims and perpetrators. But most of the people live in a sort of gray zone through most of their life, where the choices between good and bad and between selfish and altruistic choices, are less certain. So no, I think that the fact that you can translate a book, a play or an film into another context shows that there are universal conflicts which remain as problematic today as they were in the past. Are there any rebels to fight such conflicts today? Well, I hope so! But a rebel is not necessarily a positive hero. If you take the Charlie Hebdo massacre, those terrorists are rebels. The young people who are joining the ISIS in France, Germany, and the UK also consider themselves to be fighters against injustice and this decadent society. If you see the people in Ukraine who join the separatist forces, although some of them are mercenaries, they also believe that they are fighting for justice. Clearly, calling them rebels doesn’t mean that they are doing the good deeds. But what pushes someone to those extremes? Is it a desire to belong somewhere? Is it a “gene” of justice? How do you see Polish cinema in the context of non-conformism? It is a complex story. After the fall of Communism Polish cinema practically declined for fifteen years. Today, Polish cinema is slowly growing quantitatively and qualitatively. What is positive, is that the audience is also coming back. They are not only watching purely commercial films but also difficult films. Stylistically, the Polish audience accepts classical styles more than avant-gardist or experimental ones. That is a certain weakness. The storytelling is generally very traditional and imitates stylistic discoveries that were made many years ago. Is that a Polish or a European problem? It is also a European problem. But Polish cinema used to be more inventive, probably also because there was a need to circumvent censorship. They were forced to use more complicated stylistic devices. Today, I have the feeling that European cinema is running away from the most important issues. There is a disillusionment with political cinema and the few political films that are being produced, are very simplistic. European cinema is somehow ignoring the world. 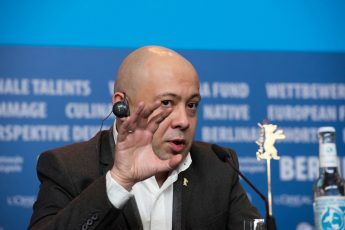 Is that your experience as president of the European Film Academy? Yes. Every year we watch a selection of films considered to be the best of the best. And sometimes I get the impression that I’ve watched these movies already. Perhaps it’s a lack of courage. I don’t know. Is it also an economic problem in the sense that what you call “lack of courage” sells better? Lack of courage – yes. But it is so easy to make a film today. Especially if you are young. With the technology of today you can practically make a film for $10 000 which you can collect on the internet. It’s not that. Personally, I think that young filmmakers don’t have a lot to say. They are living in a bulb. They are not happy, but they are comfortable. The French would say that they are “nombrislist” or egocentric. Young directors make one or two movies about their own petty problems, like family and love relationships, and then they don’t know what to say. Are you nostalgic for auteur-cinema? 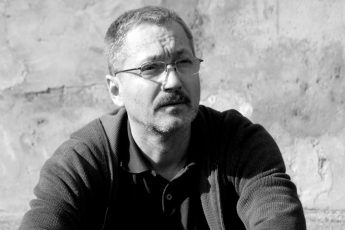 No, there is still enough space for “auteurs.” For example you have Andrey Zvyagintsev or Nuri Bilge Ceylan. And, you know, only because the period is a bit low today doesn’t mean that it cannot change tomorrow. What is lacking today and what existed 30 years ago is a cinema of the middle: professionally well-made films with powerful stories dealing with more complicated subjects, but in a way that is accessible for the audience. This was the European cinema of the 1960s and 1970s and the American cinema of the 1970s. But then it disappeared. In America it disappeared for commercial reasons but was kept alive in ambitious TV-series. Festivals and film critics killed it. They started to speak about these “academic” and “conservative” films. It was the time when Killing Fields (1989) won in Cannes. But lately, festivals have no longer been supporting this kind of cinema so that now we have a completely divided audience of festivalgoers and arthouse film buffs and a multiplex audience. There is no offer for an audience which has needs for more ambitious films but which doesn’t want to deal with experimental films. It will be more difficult to rebuild the audience, but it’s not impossible. Would television be a potential means for reestablishing “a cinema of the middle”? I think there is potential for that. In France they already tried to produce more ambitious television series. So far, the results are not very spectacular but there are some series which can compete. The Scandinavian countries and the UK are doing quite well. In Central Europe there is a great potential for that because there are a lot of stories to tell. Germany has a lot of stories to tell but it probably has the worst television in the world, judging from what I watched. Unluckily TV-producers are not really encouraging. You have to fight with everyone and success is not guaranteed.